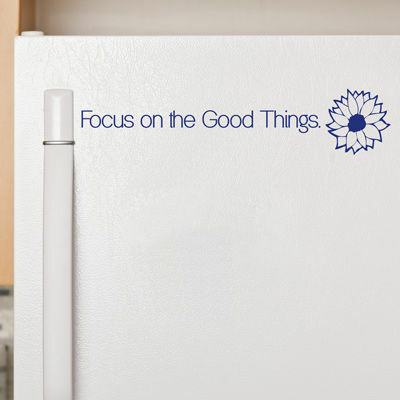 Focus on the Good Things. With all the negativity going on in the world, it's easy to get wrapped up in it. 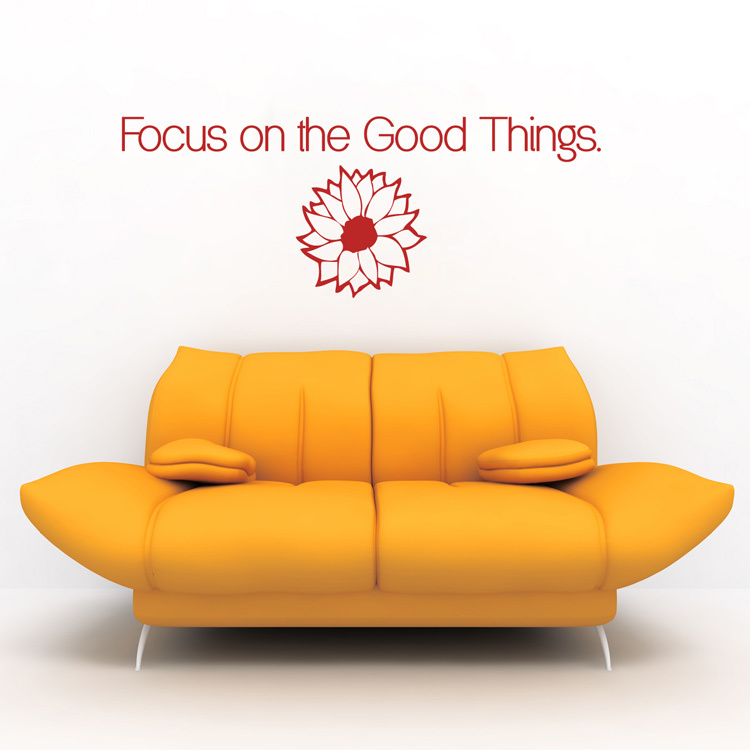 Instead, focus on the good things and focus on staying positive! If you pay attention to the negative stuff, you'll just be cranky, and nobody wants that! Our wall decals are ideal for bedrooms, offices, living rooms, entryways, classrooms, even your car, bathtub or glass shower doors! 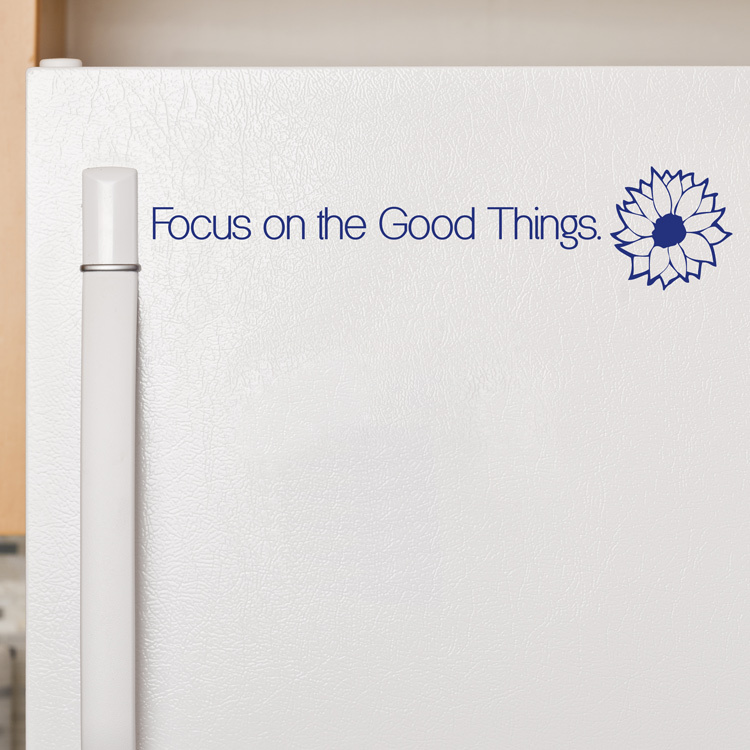 The main image on the fridge is our Small size, and measures 22 inches wide by 4.5 inches high, including the flower. Text by itself measures 17 inches wide by 1.5 inches high. Large size measures 58 inches wide by 22 inches high, including the flower. Text by itself measures 58 inches wide by 5.5 inches high. For both versions, the flower can be separated from the text and placed however you like! Color shown - Midnight Blue Matte. Both sizes come in one section, ready to apply! However, the flower can be separated before installation and placed however you choose.